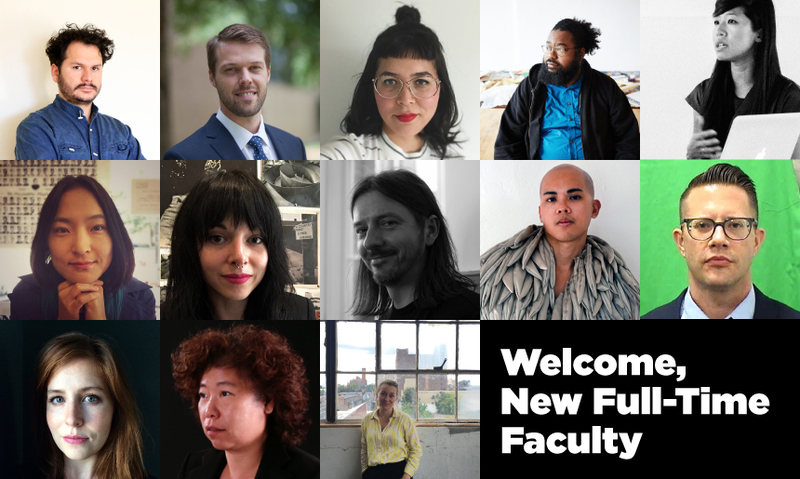 The School of the Art Institute of Chicago (SAIC) is pleased to welcome 13 new full-time faculty members who are joining the School this fall. The new faculty members represent a diverse range of practices, media, and methodologies and exemplify SAIC’s focus on interdisciplinary studies. In the last two years, six of the new full-time faculty members joining SAIC were former part-time faculty. The new faculty members, who will teach in six departments across the School, include Danielle Andress (Fiber and Material Studies), Jeremy Biles (Liberal Arts), Julietta Cheung (MFA 2012, Contemporary Practices), Michael Cloud (Painting and Drawing), Ryan Edwards (Liberal Arts), Maura Frana (Visual Communication Design), Marie Herwald Hermann (Ceramics), Suma Ikeuchi (Liberal Arts), Salvador Jiménez-Flores (Ceramics), Piotr Michura (Visual Communication Design), Hương Ngô (MFA 2004, Contemporary Practices), Kirin Wachter-Grene (Liberal Arts), and Jade Yumang (Fiber and Material Studies). See the full list, with links for more information about each faculty member.